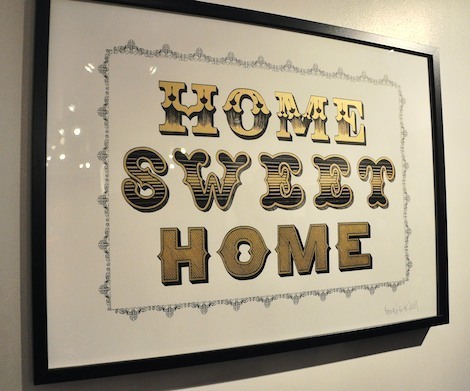 Ben Eine, whom we last saw at his “A to Z of Change” show at Carmichael Gallery (covered), has just released a new print through Friend and Co. Measuring approximately 19.5″ x 27.5″, this hand pulled two color screenprint is limited to only 50 copies and will run you $123. Available now through Friend and Co.
For more information or to discuss the artist, click here. Categories: Art, Art products, Releases, Street & Urban Art. Tags: Ben EINE, Carmichael Gallery, Eine, Friend and Co., Releases.